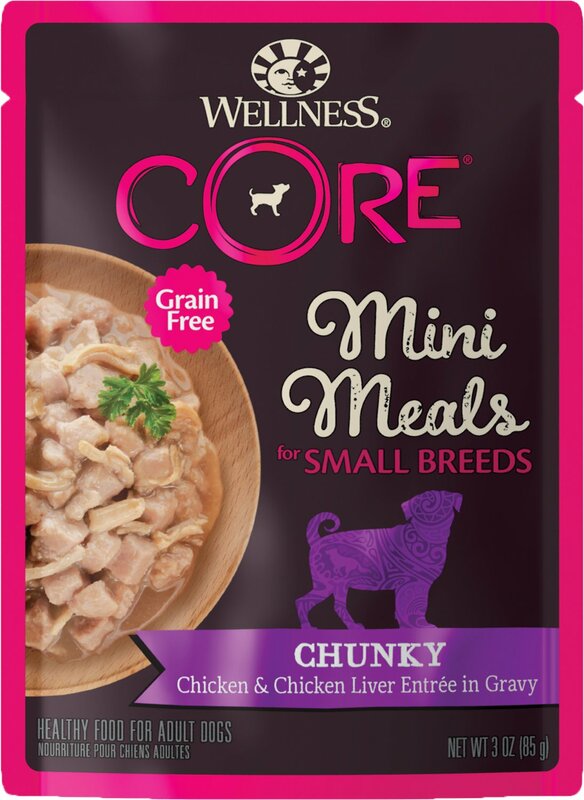 Let your small dog think big with Wellness CORE Grain-Free Small Breed Mini Meals Chunky Chicken & Chicken Liver in Gravy Dog Food Pouches! These mighty-nutritious mini-meals are packed with nutrients and formulated just for your small dog. The perfect portions of shreds and gravy are rich in premium protein that comes from real meat, essential nutrients from real vegetables, and added vitamins and minerals for the health of your pet. 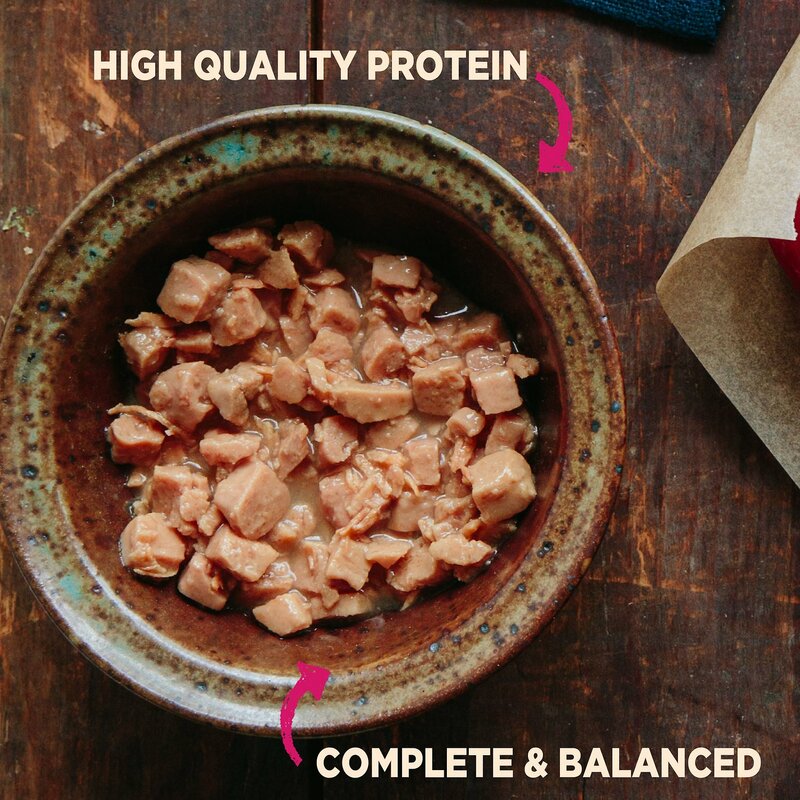 This meal will nourish your best friend without grains, meat by-products, artificial flavors, colors or preservatives—so you know you're filling your small dog's bowl with big flavor and nutrition—and the easy-open pouches make it even easier to feed your pet well. Grain-free, delicious meal that includes complete and balanced everyday nutrition for your small breed dog. Rich in premium protein from real meat, real vegetables and essential vitamins and minerals. Contains only premium, all-natural ingredients with no meat by-products, artificial flavors, colors or preservatives. Easy-open, individual-serve pouches make mealtime quick and easy. Thoughtfully prepared to ensure the highest levels of quality and safety. Chicken, Chicken Broth, Water Sufficient For Processing, Potato Starch, Chicken Liver, Egg, Tapioca Starch, Natural Flavor, Salt, Tricalcium Phosphate, Sunflower Oil, Guar Gum, Magnesium Sulfate, Vitamins [Vitamin E Supplement, Thiamine Hydrochloride, Niacin, Vitamin A Supplement, Pyridoxine Hydrochloride, D-Calcium Pantothenate, Riboflavin Supplement, Folic Acid, Vitamin D3 Supplement, Biotin, Vitamin B12 Supplement], Potassium Chloride, Choline Chloride, Zinc Amino Acid Chelate, Iron Amino Acid Chelate, Manganese Amino Acid Chelate, Copper Amino Acid Chelate, Sodium Selenite, Potassium Iodide. For adult dogs. Best at room temperature. Refrigerate unused portion. Always provide access to clean, fresh water. Adjust as needed. When fed alone to adults: 2 pouches per 5 lbs of body weight per day. When fed with dry: Reduce dry by 1/4 cup for every 1 pouch wet. The best way to transition your pet onto a new food is to gradually introduce the food by mixing it with the old diet (starting by mixing 90% old with 10% new and increase new by 10% each day until the bowl is full of only Wellness). Mixing the food will allow your pet to acclimate to the new taste and not overindulge on the new food. Feed multiple, smaller volume meals. This will decrease the likelihood of over-consumption and provide for a more consistent, firm stool. Add clean warm water to the food to help soften it. Add a digestive aid such a boiled brown rice or sugar-free canned pumpkin. our senior dog loves it and would eat two packs a day if allowed. 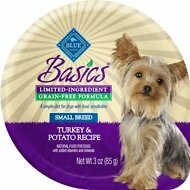 My VERY picky Poodle/Shih-Tzu female, age 3, delights in this new Mini Meals. Have only tried chix so far...and we pour it over dry Kibbles. Works quite well. we're happy. One dog liked this a little better than the other, but neither dog was crazy about these mini meals. There was lots of food still left behind on the plate. I wouldn't buy these again. I bought this after noticing that my dogs were not eating as well as they once were. I add this as a topper to their dry food and have not looked back; they love it! My dog tried this and loved it the very first time. 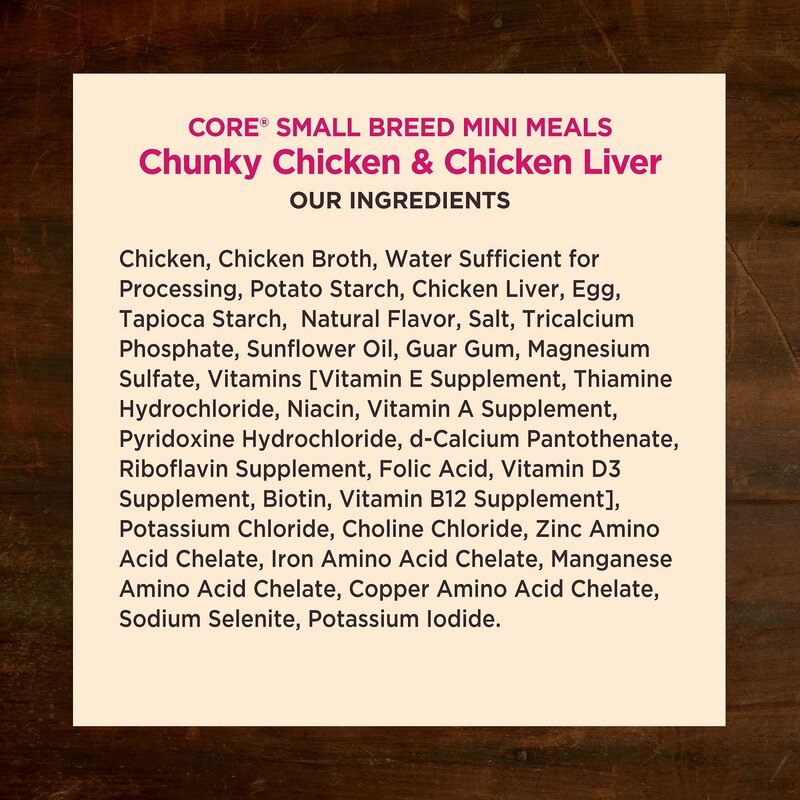 My dog, Sweetie, LOVES this chicken and chicken liver meal. I use it as a topper for her dry food.